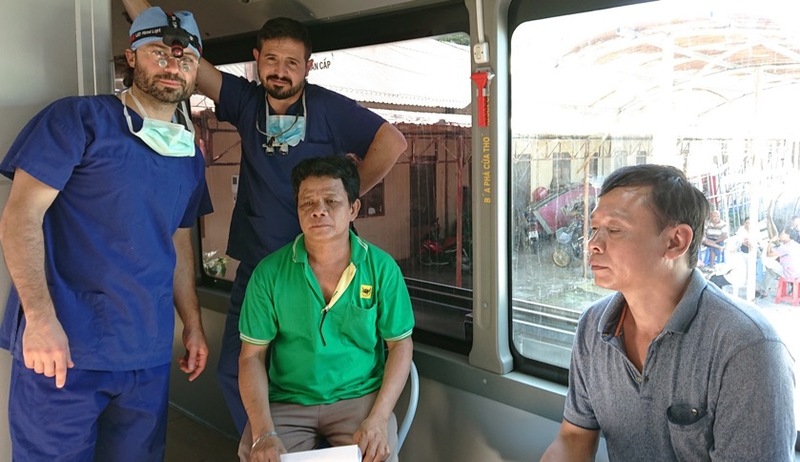 This year Dr Ross Napoli had the extraordinary opportunity to work with the long established Australian Vietnam Volunteers Resource Group (AVVRG) in the Dental care team in the Long Tan region of the BaRia – Vung Tau Province. 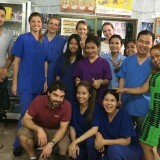 The AVVRG Dental Clinic at Long Tan is periodically visited by Australian dentists able to assist locals with dental care. The provision of dental care and dental hygiene education is a low priority matter in Vietnam. 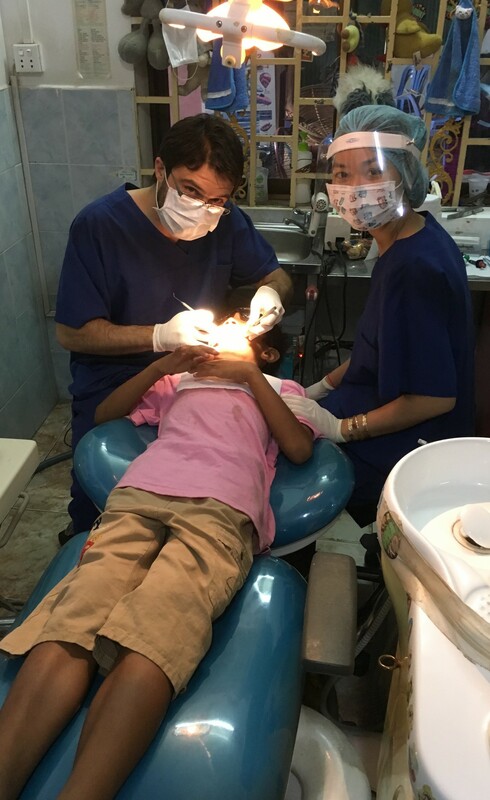 The ready availability of sugary sweets in Vietnam results in a very high rate of dental caries in children, The Dental Care Team are currently pursuing an oral health care program in the region in conjunction with the local Department of Health. Practicing Dentists are always welcomed to support this ongoing project and we were granted the opportunity to assist. 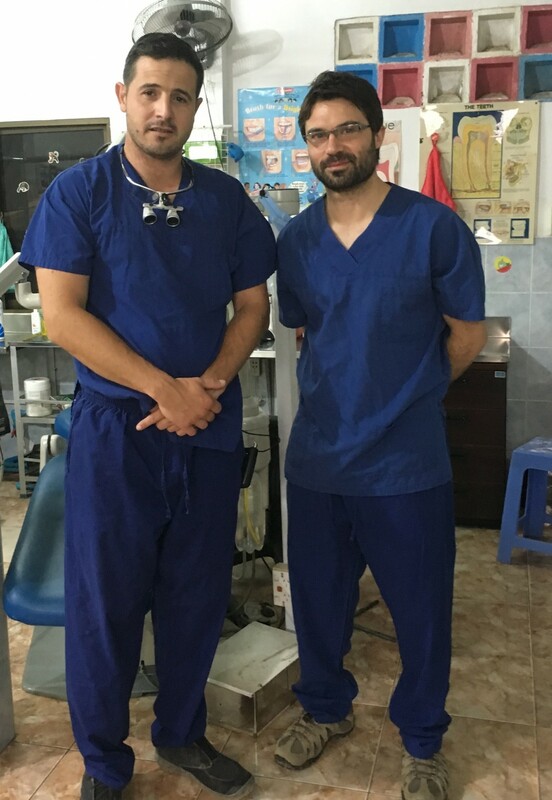 Some portable dental equipment is available which have enabled the teams to travel to the children in the schools surrounding Long Tan. Contrary to what we may think about the modernisation of Vietnam, the country still has many problems with severe poverty and lack of basic healthcare. I have treated many disadvantaged children in other countries but I have never seen the ravages of war on a population of people who are some of the kindest and friendliest on earth. 2017 bought on yet another aid trip to assist Cambodia World family in their provision of providing care for the underprivileged children of Cambodia and providing training and support to the dedicated staff of this great facility in Phnom Penh. 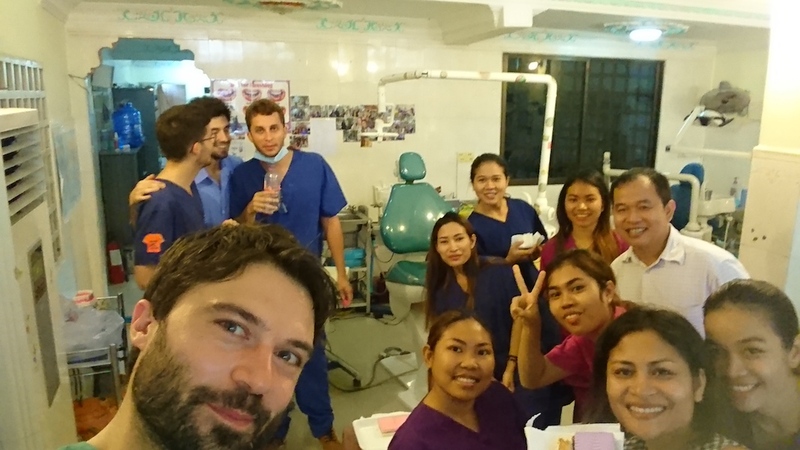 During July 2017 we had a great opportunity to work with, and train the local staff where a considerable amount of time was spent honing the skills of the amazing nurses who act as “therapists” in controlling the dental disease in the absence of volunteers such as ourselves. They generally work under the supervision of Dr Boran who guides the treatment of the children and this provides a great service to the children who attend the facility where help is always needed but they are always heavily understaffed. 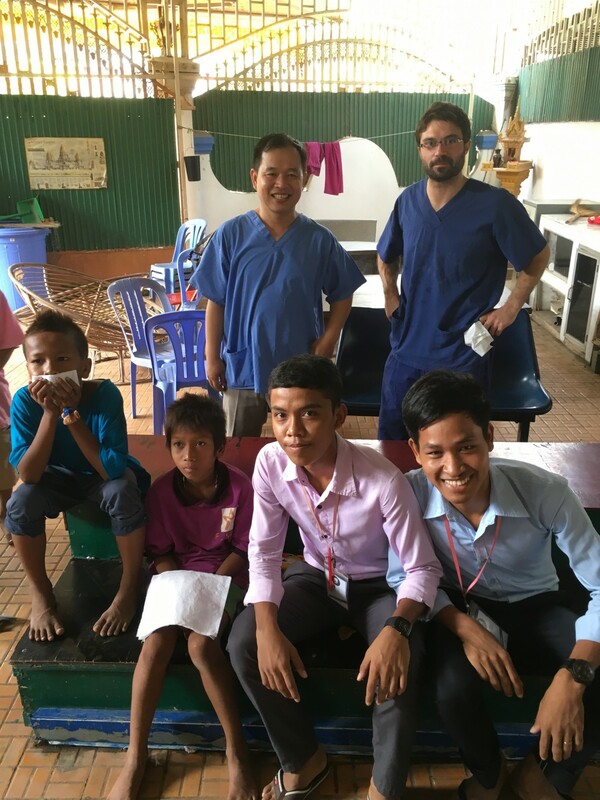 Dr Ross Napoli has long been working with underprivileged children in South East Asia. 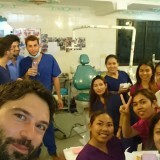 After many years serving the Born to Live Charity in Thailand, he continues the long tradition at Parkside Dental Clinic of providing aid to those most in need of basic medical and dental care. There are many places which demand the skills of medical professionals like ourselves and Cambodia definitely ranks high on the list as one of these. According to the United Nations, up to 1 million children are currently under the care of institutions, charities and foster homes in Cambodia, with many more abandoned on the street and suffering from extreme poverty, malnutrition, poor parenting, dismantled or failed family structures. Part of the childrens’ suffering is dental (infection, pain, fever, poor appetite) which, in the absence of treatment, can be extremely detrimental. Many children have chronic illnesses such as Hep B, Hep C and HIV which compound their problems. 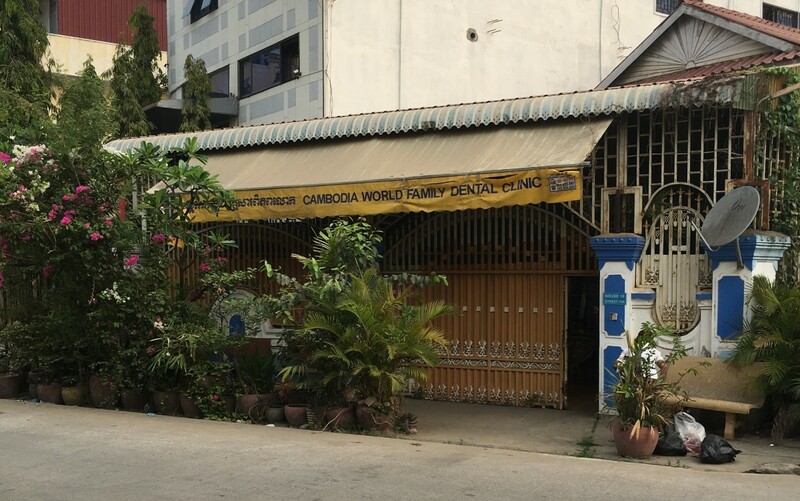 Cambodia World Family (CWF) is an organisation which provides free dental care and training to local staff in order to relieve some distress in the lives of these children and return some dignity and self-respect to both children and staff. 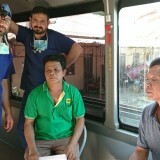 Their local staff, together with volunteer dentists form a platform for dental treatment and provide essential nutritional and health education. Parkside Dental Clinic would like to sincerely thank Dr Richard Salter after his recent retirement from full time dental practice for his many years of service to our patients. In addition, his charitable commitments with the Rotary East Timor dental project over the years have been both admirable and inspiring to his colleagues. 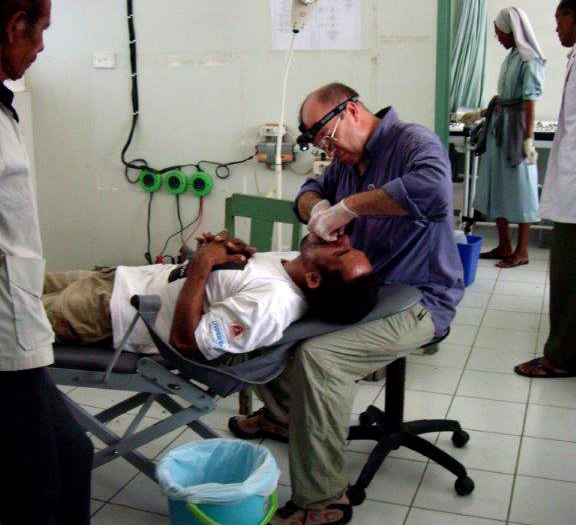 Dr Salter’s ethos in working for his patients, whether in East Timor or at Parkside Dental Clinic, proved that at the core of the profession there is still true nobility. This is certainly an enduring quality he has shared with his associates, some of which continue in his footsteps to provide regular charitable services to Thailand and Cambodia. Dr Salter’s Oral surgery services will be taken over by one of several highly regarded Oral surgeons who have had a long association with our practice.